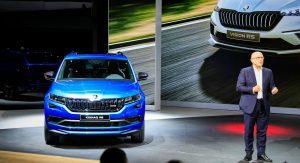 Skoda has finally unveiled the Kodiaq RS, a performance-oriented SUV that can seat as many as seven people. 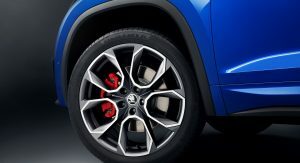 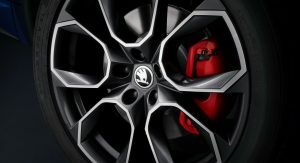 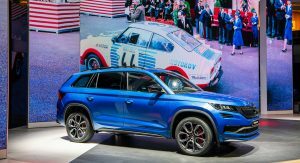 Aside from showing off the vehicle at the 2018 Paris Motor Show, the Czech automaker is also quite ready for us to know just how quick their sporty, yet highly practical SUV really is. 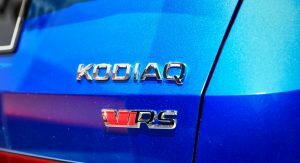 The new Kodiaq RS is powered by a 2.0-liter TDI biturbo, with 240 PS (237 HP) and 500 Nm (369 lb-ft) of torque. 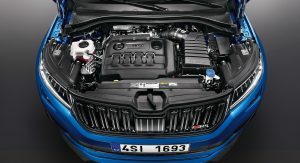 It’s Skoda’s most powerful diesel engine ever, and it works together with a 7-speed DSG automatic and an all-wheel drive system. 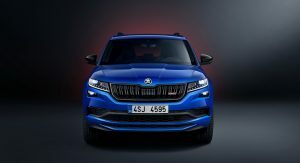 On a straight line, the Kodiaq RS can go from zero to 100 km/h (62 mph) in 7 seconds flat, before maxing out at 220 km/h (136 mph). 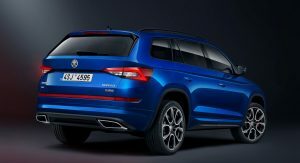 However, when compared to the flagship version of the VW Tiguan Allspace, which is equipped with the very same engine, the Skoda is slower to 100 km/h by 0.3 seconds and has a lower top speed by 8 km/h (5 mph). 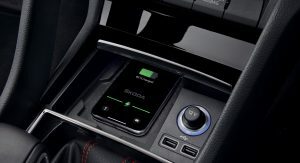 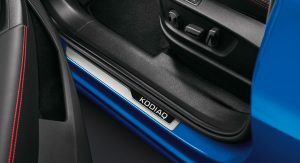 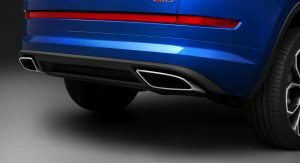 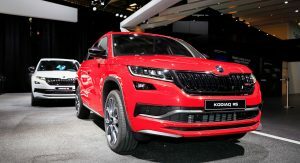 Yet, you won’t be forgetting this isn’t your regular Kodiaq, especially since the RS comes with Skoda’s configurable Dynamic Sound Boost system, enhancing the diesel engine’s soundtrack. 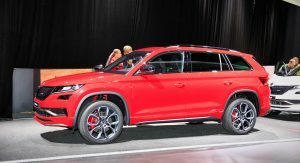 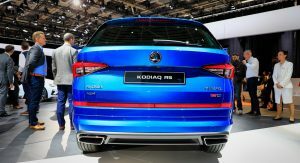 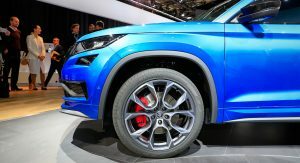 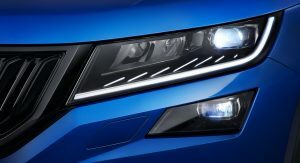 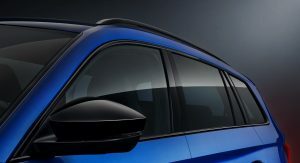 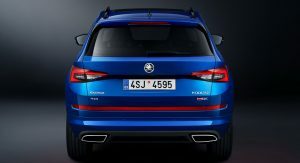 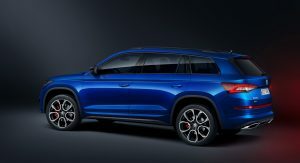 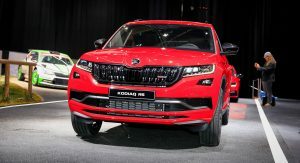 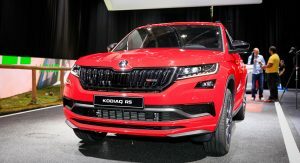 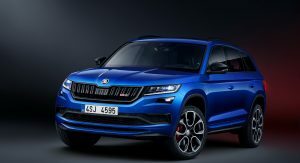 Perhaps more impressive though is the fact that the Kodiaq RS holds the lap record for seven-seater SUVs on the Nurburgring Nordschleife, setting a time of 9 minutes, 29.84 seconds with racing driver Sabine Schmitz behind the wheel. 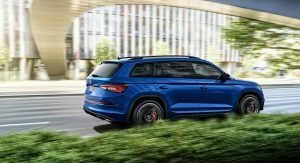 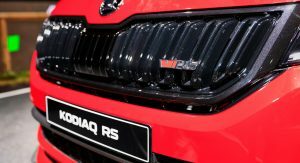 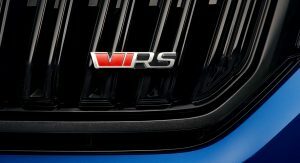 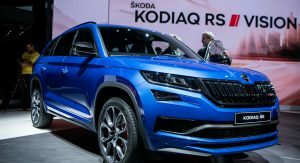 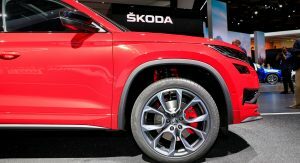 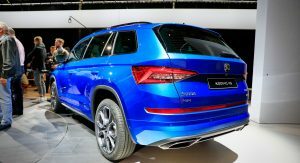 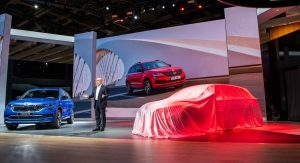 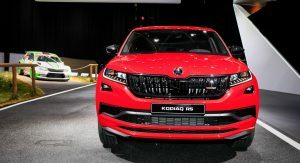 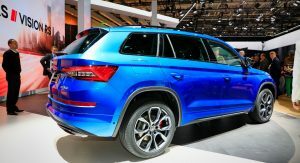 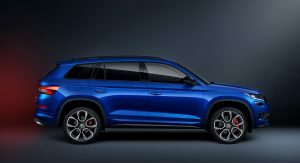 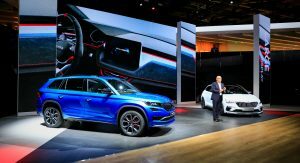 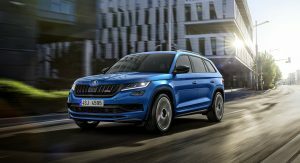 “The Skoda Kodiaq RS is the new spearhead in our SUV offering and, at the same time, our first RS model in this car segment. 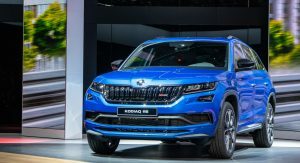 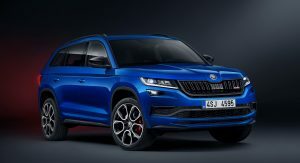 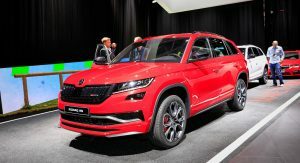 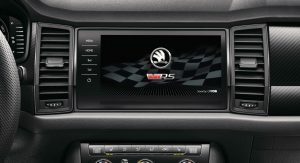 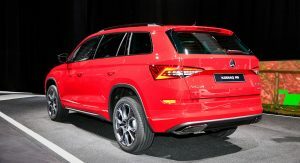 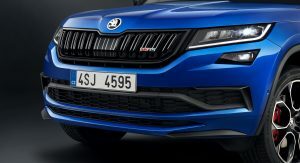 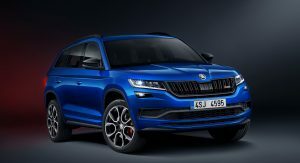 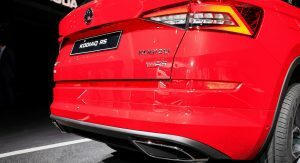 Its biturbo engine producing 240 PS is the most powerful diesel engine in Skoda’s history combining the efficiency of modern, clean diesel engines and the performance of a sporty SUV,” stated the automaker’s CEO, Bernhard Maier. 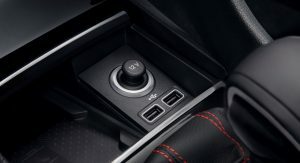 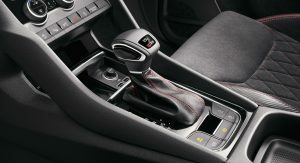 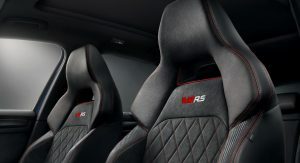 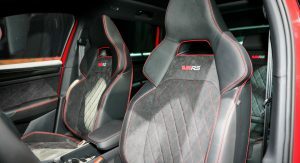 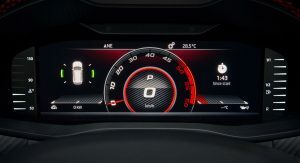 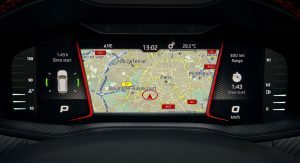 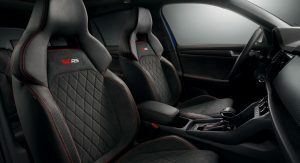 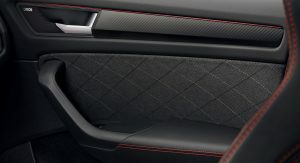 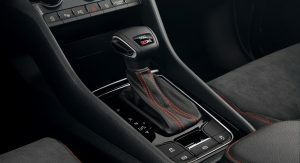 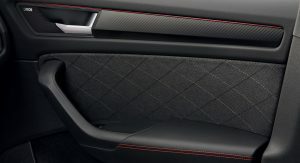 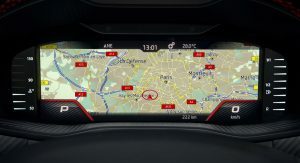 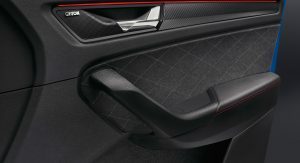 As for the interior, what stands out most are the Alcantara sports seats, carbon fiber-effect instrument panel, contrast stitching and the dashboard’s Virtual Cockpit gauge cluster, which offers a new Sport View as a fifth display mode. 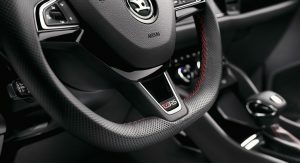 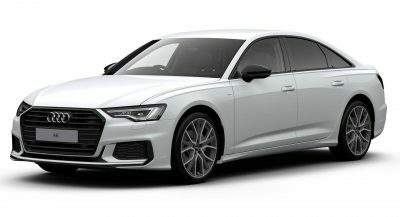 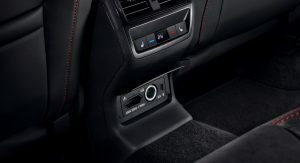 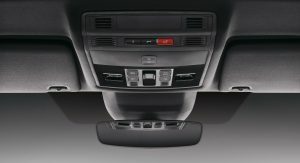 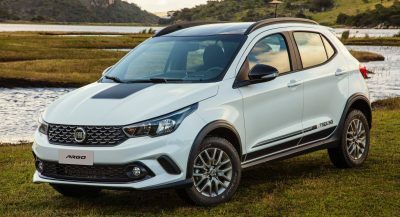 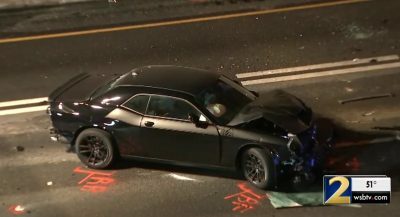 Other features include the flat-bottom sports steering wheel, black roof lining, ambient lighting, aluminum pedals and a standard Bolero infotainment system (optional Amundsen and Columbus systems). 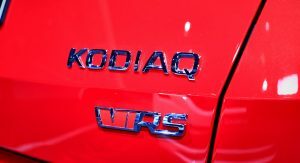 Sales for the new Kodiaq RS will begin shortly after its visit to the Paris Motor Show. 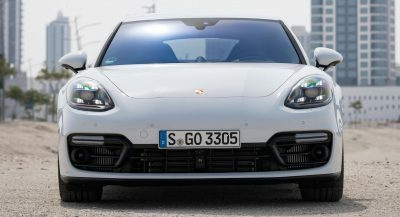 diesel? 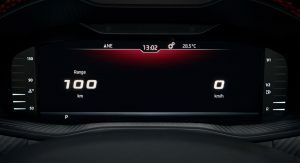 are f…ing kidding me? 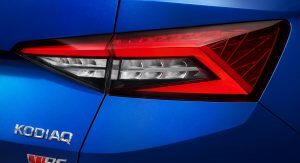 Just over 1,065,879 new diesel cars were registered in the UK during 2018. 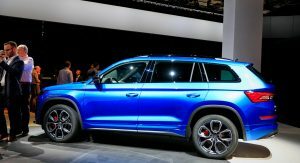 That figure is likely to be slightly down this year, but I imagine diesels will still likely to break the 900,000+ sales. 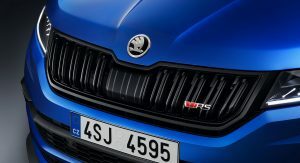 237hp from a diesel is nothing to write home about. 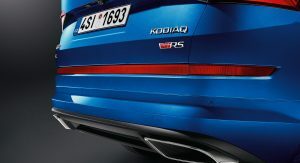 Many of the premium marques have a higher output. 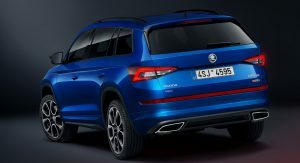 For a 2.0, it’s okayish, but neither is Diesel exactlysomething to brag about nowadays (mostly thanks to parent VW), but also I think that a 7 seat SUV the size of the Kodiaq needs way more than 237hp to justify a RS badge…. 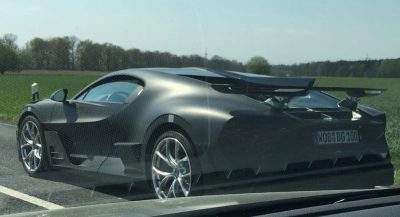 Next PostNext Is This B-Class Actually A Test Mule For Mercedes’ EQB Electric SUV?